Yesterday, at the Geneva Watchmaking Grand Prix, De Bethune’s DB28 was awarded the top prize, the “Aiguille d’Or” Grand Prix. 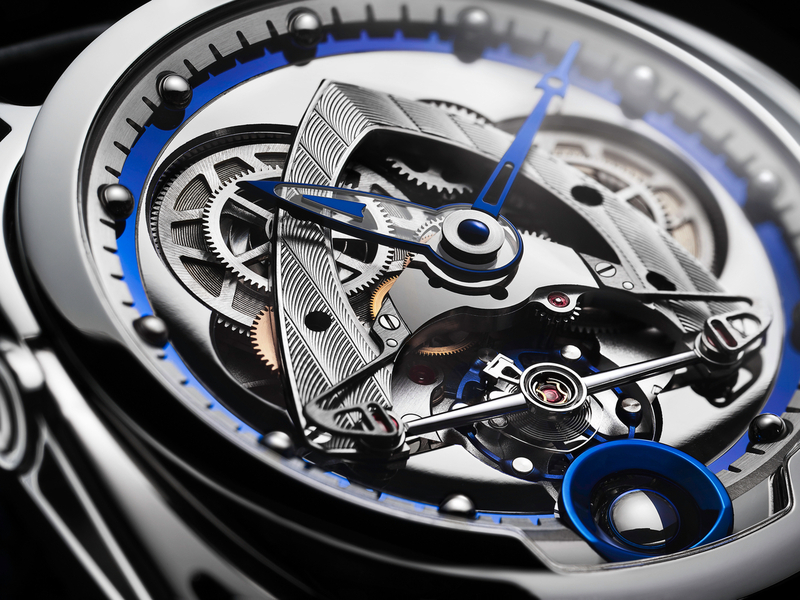 The DB28 features a large dial opening that allows a view into the heart of the movement as it oscillates. A platinum and blued-steel 3D moon phase rotates on its own axis at 6 o’clock. Functions include hours, minutes, moon phases, a power reserve indicator and a performance indicator. The manufacture movement, caliber DB 2115, is a mechanical hand-wound movement with 276 components. 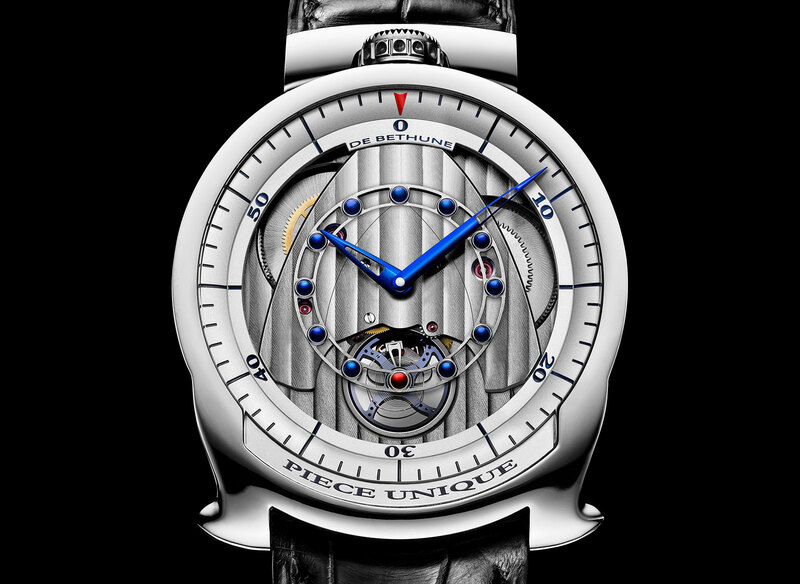 Hand decorated with circular-grained, snailed, chamfered and polished steel parts, Côtes De Bethune, self-regulating twin barrel, silicon/platinum balance wheel with flat terminal curve, triple pare-chute shock-absorbing system and exclusive three-dimensional moon-phase indication. 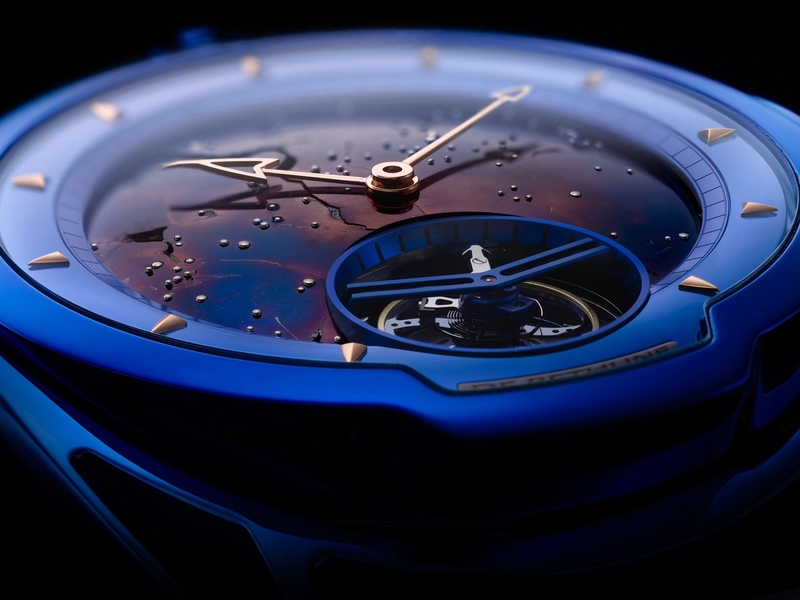 The 29 jewel movement runs at 28,800 vph (4Hz) and has a power reserve of 144-hours (6-days). The case is 45 mm x 42 mm in diameter and 11 mm thick, with floating (spring-loaded) lugs in grade 5 titanium with a pivoting system, which make for a very comfortable fit. Crown at 12 o’clock. The case back is a solid “hunter-type” back inspired by pocket-watches, with a horizontally controlled power reserve indicator. The dial is in polished grade 5 titanium, with a silvered minute circle. Available in either black or anthracite with Côtes De Bethune decoration and mirror polished steel. Best performance indicator is at 3 o’clock between a blue and red dot. 3D moon phase indicator at 6 o’clock. Extra supple black alligator leather with buckle. Sapphire crystal with double anti‐reflective treatment. When I first saw this timepiece in person, I was amazed. The finishing, the design, the fit, the visible balance wheel, the 3D moonphase – everything is so perfect. 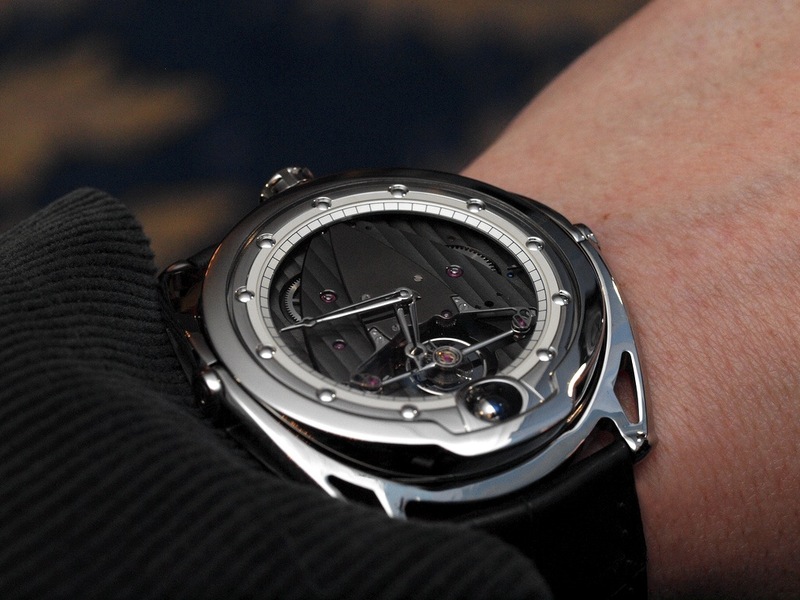 De Bethune exemplifies everything haute horology is about, and in my opinion, the DB28 is most deserving of the Geneva Watchmaking Grand Prix’s highest honor. The retail price is $87,250.